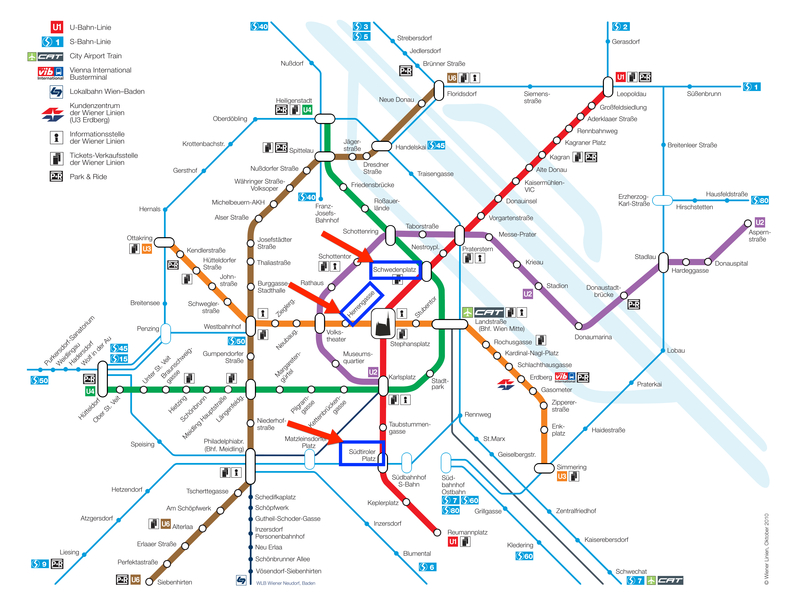 Alternatively there is the usual train (S7) which arrives every 15 minutes and also takes 30 minutes to Wien Hauptbahnhof (Central Station), which is connected to U1 or Wien Mitte U3. This costs around 4 €. Airport Taxi cost about 30-40 € and take around 20-30 minutes depending on traffic. There is also a Bus to Schwedenplatz (connected to U4) which is around 8 € and also takes 30 Minutes. The closest Underground station to the venue is U3 Herrengasse. A single trip in the whole Viennese public traffic system is about 2,20 €.